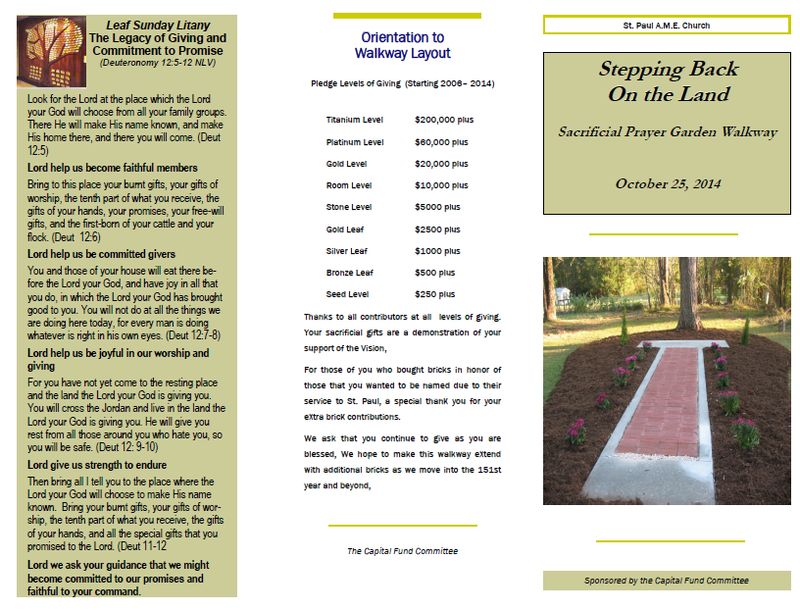 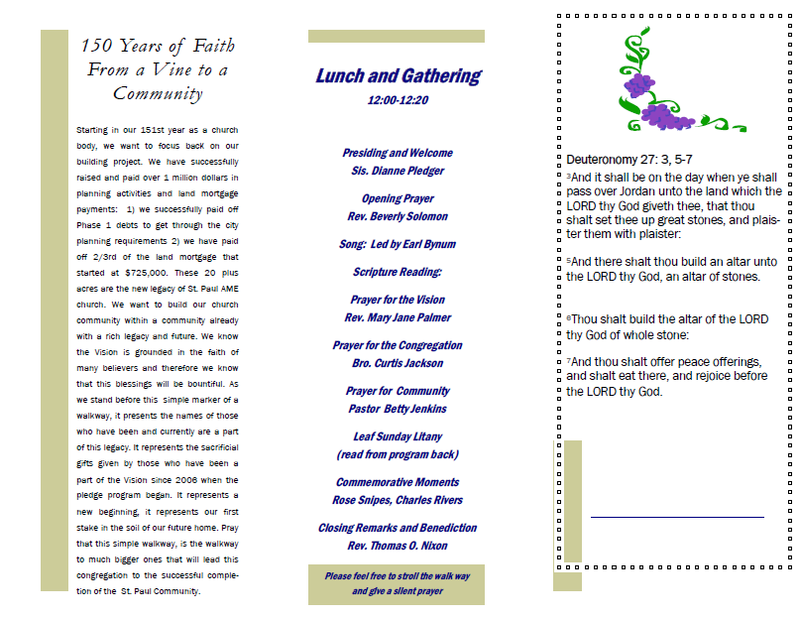 Sacrificial prayer Garden - Stepping back on the land! 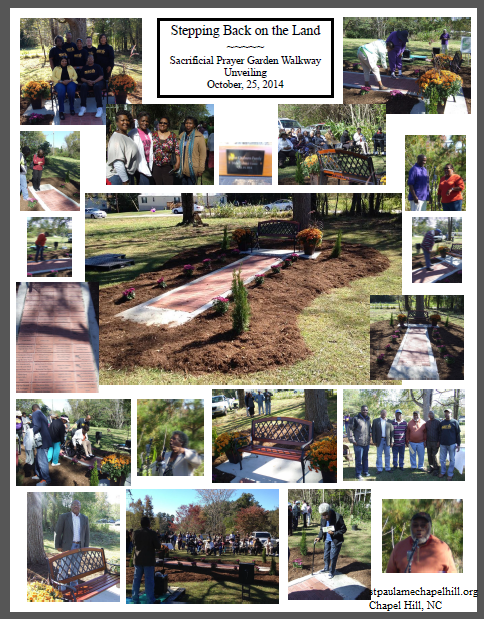 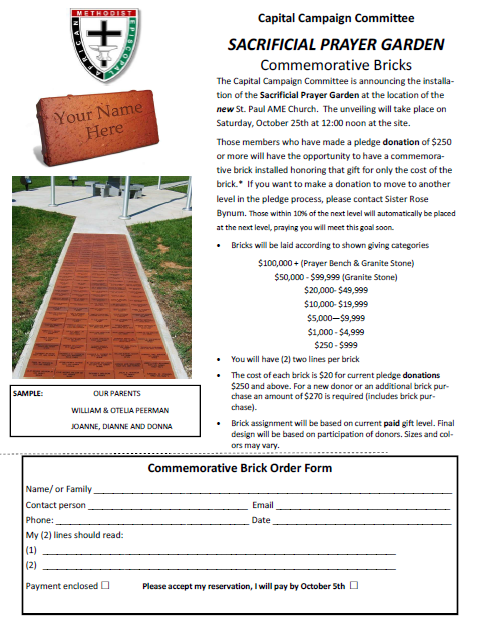 Commemorative bricks honoring pledge donations of more than $250 to St. Paul Village were installed in the Sacrificial Prayer Garden at the dedication ceremony on October 25, 2014. 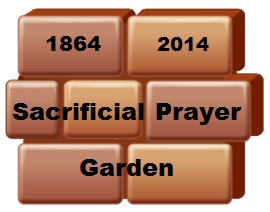 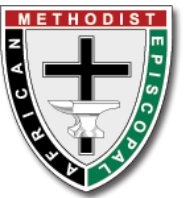 5And there shalt thou build an altar unto the LORD thy God, an altar of stones.